Following a warm welcome by the UN Library Director, Mr Francesco Pisano, Councillor Dr Rama Mani made a passionate opening to the high-level roundtable composed of Mr Pradeep Monga, Deputy Executive Secretary of the UN Convention to Combat Desertification, Ms Alexandra Wandel, Director of the World Future Council, Dr Atinkut Mezgebu Wubneh, Head of Agriculture and Rural Development of the Ethiopian Tigray region, and Mr Ousséni Diallo, President of Green Cross Burkina Faso. Mr Pradeep Monga, Deputy Executive Secretary of the UN Convention to Combat Desertification, set the scene by underlining the challenges of effectively addressing desertification, land degradation and drought. He stressed how useful it was for UNCCD to be a partner of the Future Policy Award 2017 highlighting impactful policies, as there is an urgent need for UNCCD States Parties to adopt policies that effectively reduce the severe consequences that land degradation has for food security, water availability and livelihoods which result in increasing migration pressure and conflicts. Ms Alexandra Wandel, Director of the World Future Council, stressed that the Council, which each year decides upon a topic for the Future Policy Award, felt it was extremely pressing to dedicate this year’s award to the “silent, under-reported crisis” of desertification. She highlighted that a common feature of all the winning policies is that they do not just exist on paper, but have effectively restored land on a massive scale. These impacts include substantial soil and water conservation activities, enhanced food security, provision of access to water to the poorest of the poor, the promotion of indigenous and traditional local knowledge, and the reversal of the worrying trend of desertification, thereby benefiting local people, in particular youth and women. 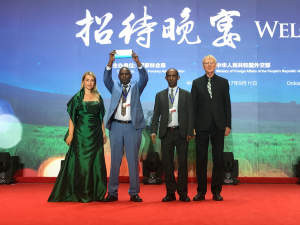 Representing this year’s Future Policy Gold Awardee, Dr Atinkut Mezgebu Wubneh, Head of Agriculture and Rural Development of Tigray, reported how thanks to political foresight and leadership, environmental conservation became a key feature of Tigray’s Regional Development Strategy. He emphasized that mass mobilization of local people and the involvement of youth were fundamental to the strategy’s operative implementation throughout Tigray region. 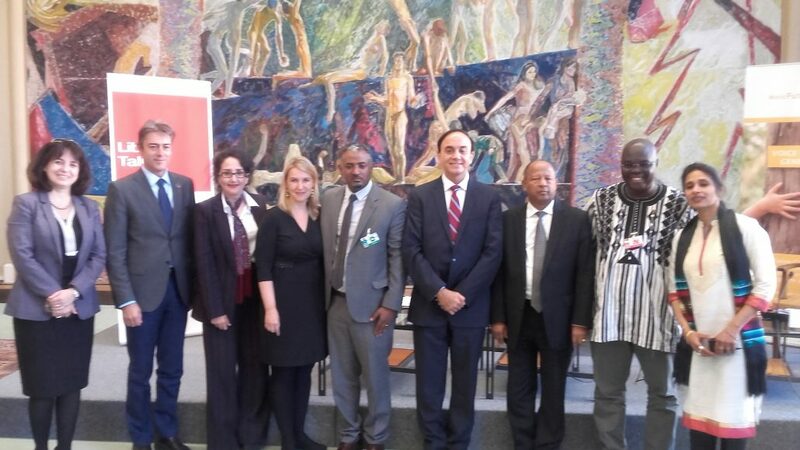 Mr Ousséni Diallo, President of Green Cross Burkina Faso, shared his experiences on afforestation and sustainable land management in combating desertification at local level in West Africa. Most importantly, he pointed out that it is vital to strengthen public policies addressing this huge challenge in West African countries and that a number of key aspects of the winning policies could considerably contribute to improving the situation there. A unique poetic interlude was offered by Councillor Dr Rama Mani from the Theatre of Transformation Academy and Fellows of University of Oxford’s Enacting Global Transformation Initiative: Ms Gargi Katikithala, Ms Mahbubeh Kuhestani and Mr Javier Ormeno. They presented a multi-cultural production on transforming the deserts into oasis through the arts. Starting with touching interpretations of ancient and original poems and texts, students representing different continents converged to offer a fascinating Theatre of Transformation performance. Dr Rama Mani then enacted the “Vision poem”, in honor of late Councillor Ibrahim Abouleish, who bought desert land near Egypt’s capital Cairo and started to reclaim the infertile soil by Biodynamic agricultural methods, after a vision came to his mind: “In the midst of sand and desert I see myself standing as a well drawing water. Carefully I plant trees, herbs and flowers and wet their roots with the precious drops. The cool well water attracts human beings and animals to refresh and quicken themselves.” His vision evolved into the founding of SEKEM, which in the 40 years of its existence has transformed almost 684 hectares of arid land into vital soil. In September 2017, we honoured the best policies to successfully combat desertification with the Future Policy Award 2017. The Ethiopian Tigray Region won the Gold Award. 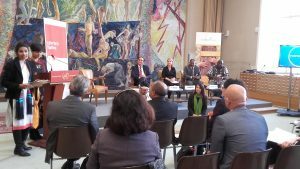 During the interactive dialogue, Ambassador Negash Kibret, co-host of the event, thanked the UNCCD and the World Future Council for awarding his country with the Future Policy Award 2017. He underlined the importance of land restoration, as agriculture is providing livelihoods to a huge part of the Ethiopian population. Ms Saja Majali, Ambassador of Jordan, reiterated her country’s pride about the Future Policy Bronze Award for Jordan’s Updated Rangeland Strategy. She underlined that the strategy, developed to a partnership with IUCN, was particularly innovative when compared with previous approaches, as it safeguards the “Hima” concept, which effectively integrates natural resources, community life, ethics, animal welfare and more. 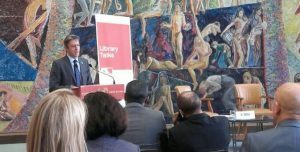 In addition, Ambassador Anda Filip from the Inter-Parliamentary Union (IPU) and WFC Councillor expressed her organization’s gratitude to the World Future Council for cooperating on many of the past Future Policy Awards and stressed that the IPU is keen to join again as a partner in the future. The encouraging event concluded with informal talks accompanied with delicious traditional food and enchanting coffee offered by the Permanent Mission of Ethiopia.